photo by my awesome husband! 1. I like my coffee black. I do like the occasional cream and sugar stevia, but in the mornings I usually drink it black. This changed when I got married because Kendall always gave me a hard time about all the extra calories in cream and sugar so I forced myself to like it black. I will put a drop or two of stevia if needed. 2. I absolutely, cannot be on time to save my life. I try SO hard and I always fail. I've tried everything. Time hates me. 3. I am a whopping 5'2. 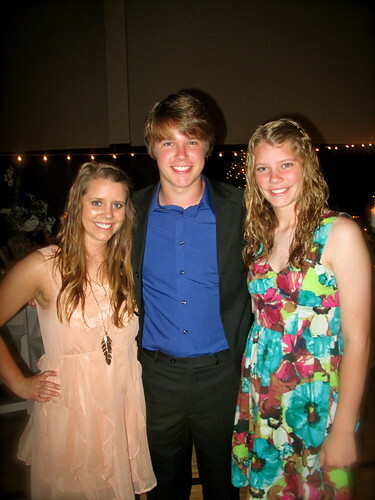 I am the oldest out of my brother and sister. My brother is 5'10 (18) and my sister is 5'7 (16). 4. I LOVE Soccer (the real Futbol). I am a die hard soccer fan. I started playing my freshman year of high school and fell in love. 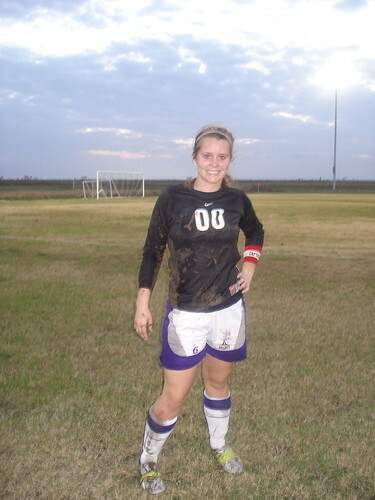 I played Goalkeeper (even at 5'2) and made the Texas All-State Team my senior year and was MVP of district. I had several offers to play at the college level, but had to turn them down because of an injury. My dream is to go to the World Cup! I might be one of those annoyingly obsessed people when it comes to soccer. haha I actually haven't given up on my dream to play college ball, I might be trying out in the spring for the Lamar soccer team. 5. Speaking of injuries, I've had a couple. 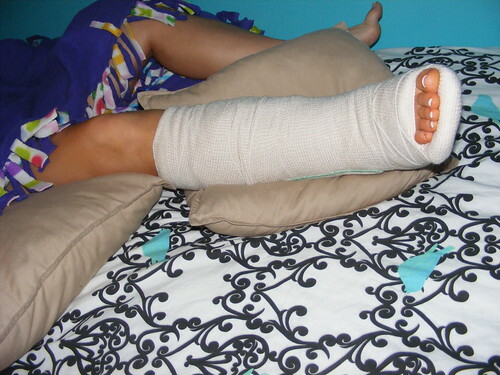 The injury that kept me from playing college soccer was a fractured shin and torn ligaments in my ankle from playing CO-ED soccer. I couldn't do anything for 9 months because I had to have reconstruction on my ankle. I've also fractured my sternum playing soccer. I also broke my elbow when I was 3 on the McDonald's playground. 6. I was born with an extra bone. When I was in 5th grade I noticed a knot on my thigh. We went to the doctor and discovered I had a tumor. I had to go to MD Anderson in Houston because the doctors thought it might've been cancer. Come to find out, it was just an extra bone growing off my femur. I eventually got it removed in middle school because when I hit my growth spurt it started to grow and hurt my knee. 7. I am obsessed with Middle Eastern culture. I love the food, the architecture, the people, everything. I could live in Morocco and live off of cous cous and tagine. I also took Arabic for two years. سلام! اسمي بري. Saalam! Ismee Bree. Marrhbaa bikoom fee mookhghee! Peace! My name is Bree. Welcome everyone to my blog! 9. I am an avid CSI watcher. I have watched it for years and I just really like it. The story lines always capture me. I can't believe how talented the writers are to think out so many stories with so much detailed. I like all three--Las Vegas, New York, and Miami. Well, that is it for today! Now you know 10 random facts about me. :) I hope you enjoyed it. Come back tomorrow for a little project I am starting on the blog called Project 10:2.
yay! I am glad you are doing this too! I am excited to learn more about you! I was just going to ask you about the extra bone that you mentioned on my comments, but you already divulged that secret... Pretty interesting that you are obsessed with middle eastern culture. That is awesome! Can't wait to learn more! p.s. love the picture at the top! I liked this! Hehe! It was good to know more about you! Uhh,,, how cool that you got to keep an extra bone than the usual human!! Seriously, that made my day. I too want to go to a world cup one day. I can't even imagine the atmosphere and the excitement. Was in France in 2006 when Germany hosted the world cup, and just being in Europe was amazing. Love reading your blog and hope you get to go to a world cup someday!